To radiate elegance and coolness as the stars and starlets? No problem - thanks to the modern and trendy sunglasses from allbranded. The high-quality processing and exclusive designs make them a real eye-catcher. The sun glasses not only protect the eyes against UV rays - they are also fashionable accessories that we can print with the company logo or brand. Take advantage of the positive effects of the glasses for your company and place them as favorable promotional items to the fans and city festivals, concerts, on the beach, at trade fairs and other big events. To present your company at the eye-catching points of interest - the head. Summer is at the door and with it also the time of the sun glasses. Millions of people wear them to protect the eyes in cafes, while enjoying the sun, after a long night over the hungover face as concealment, or simply as a fashion accessory for shopping. The wide range of application possibilities make the sun glasses indispensable as a giveaway for the success of your campaign. Distribute the glasses as an advertising item on concerts, Fan Festivals, anniversary celebrations and other major events and present your company to the young and contemporary. allbranded offers you a wide choice of models and colors and prints the fashion accessories with your brand or trademark claim. Access to and bring impression on your competition. Sunglasses are giveaways, but do not change their owners regulary as lighters and pens. In particular variants with brightly colored frames are frequently chosen by their carriers according to daily outfits and match the color of the shirts, shoes or the belt take-up. With the selection of sunglasses as advertising Products you provide for an advertising message "Eye to eye", especially with younger target groups. 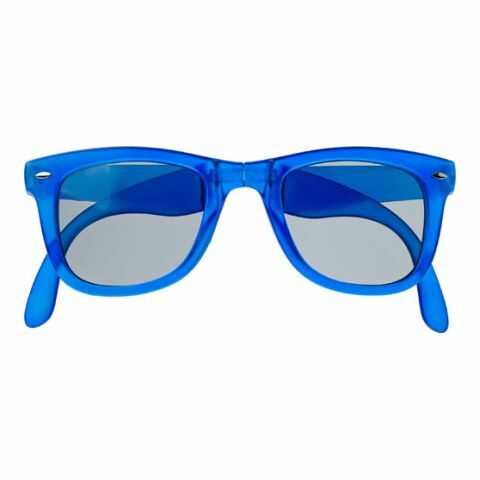 allbranded shop offers in fully automated online shop a wide variety of sun glasses that are ideal as a promotional gifts. With the exception of the shutter glasses all sunglasses offer UV protection for the optimization of the dangerous wavelengths of sunlight. The efficiency of the glasses will vary depending on the category (category 0 corresponds to a light emission level of 100 percent). Not least due to the popularity of very bright colors, most sunglasses have plastic frames. The currently most popular model of this type is the Wayfarer model. Advertising messages can here be printed via pad or screen on the outside of the temples, the nose bridge and also on the inside of the lenses. Higher-quality sunglasses with metal frame also offer the possibility of a noble engraving. The possibilities of using Sun glasses as a promotional gift are many. Give them away in your outdoor swimming pool on the first day of the new season to your visitors. With your Logo on the frame they will make during the whole summer for an advertising medium that captures great attention in the environment of the carrier. They are active in the food service and show on a large screen during matches of the British national soccer team? With the sunglass model "Nations the UK" they support the fans, who want to communicate the passion to the outside. By the way you present yourself with a logo print than like-minded, the fever with your customer . 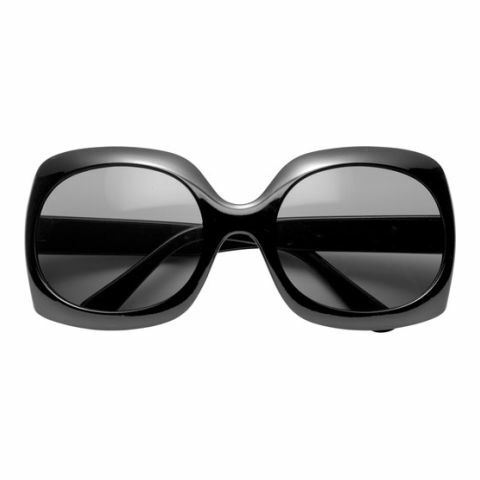 All sunglasses in our online shop are available in different colors or can be completely individualized on the lenses. Our comments are based on the models of well-known manufacturers and provide for an immediate acceptance among the target group. Empower your advertising message with an engraving or printing for the necessary attention and make a lasting impression. Order now simply and conveniently online and enrich every party with a stylish funglasses in your company look.